Patty standing in front of the historical section of Kensington Palace. Hey everyone! Patty Smith Hall here, and I've just returned from a trip of a lifetime! My darling husband decided to surprise me with a 30th anniversary trip to the one place on earth he knew I wanted to visit--London! So over the next few months, I'm going to share pictures and history from one of the most historical places on earth. Today, we're visiting Kensington Palace. 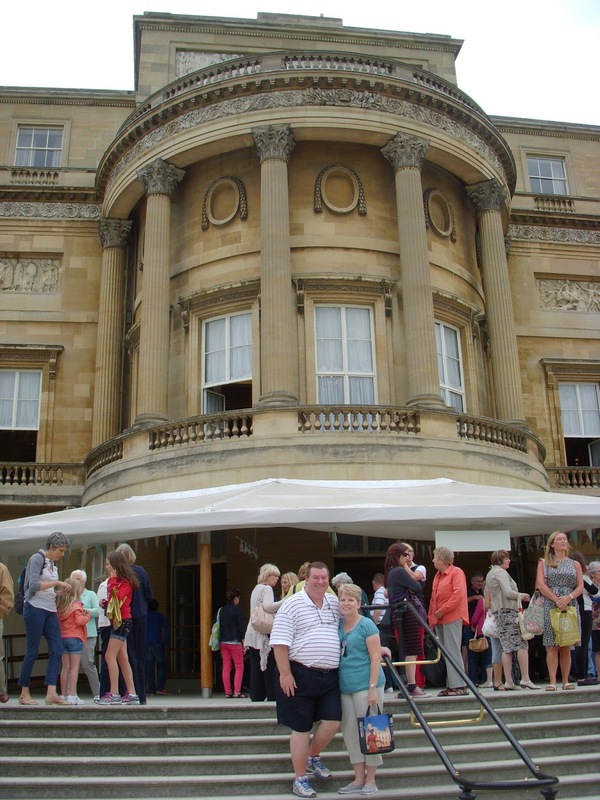 If you're a royal watcher, you know that this is the place where the Duke and Duchess of Cambridge along with their new son, Prince George will soon be living. Built in 1605, it was first known as The Nottingham House and did not become a palace until William and Mary assumed the throne in 1689. 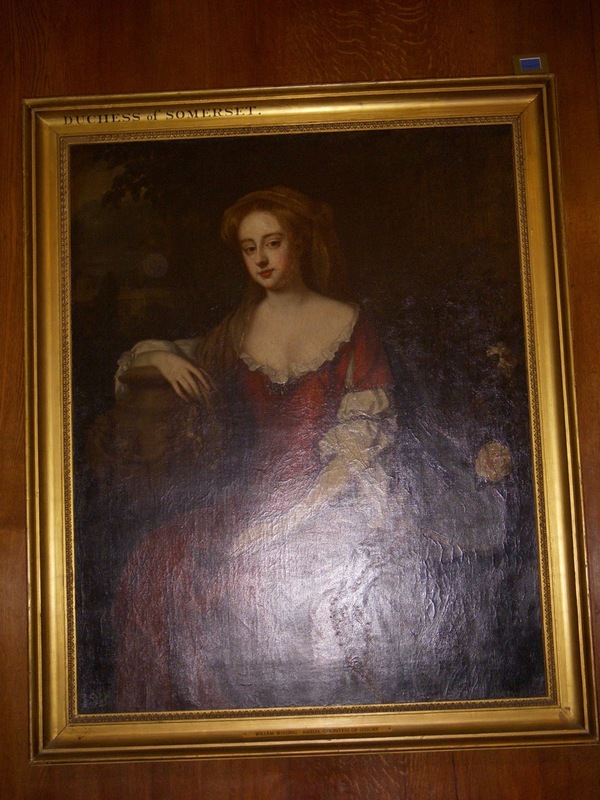 This is a portrait of Elizabeth Seymour, the Duchess of Somerset. 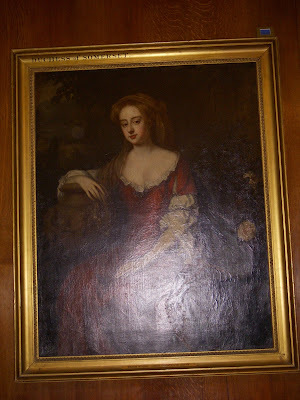 She was Queen Anne's confidante and she, along with her husband, were great favorites of the Queen which brought many enemies ready to take her down. But her ability to understand life at court and her intelligence kept her in the Queen's favor up until Anne died in August, 1714. 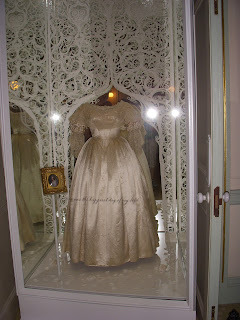 Probably one of the most famous residents of Kensington Palace is Queen Victoria. 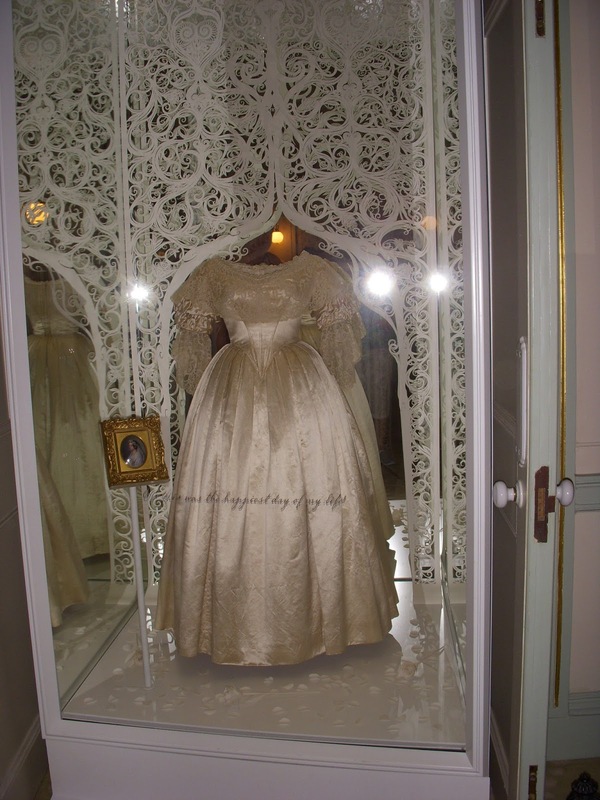 Born in May, 1819, Victoria spent her childhood roaming the halls of the palace. In her own words, "I was brought up very simply, never had a room to myself until I was nearly grown, always slept with my mother until I came to the throne. 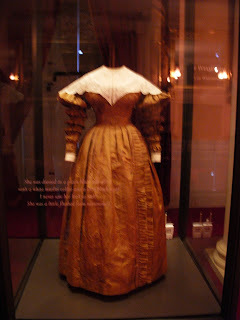 The room where the Queen's gown is shown is also the room where, on June 20 1837, Victoria held her first meeting with cabinet members and close advisors, just a few hours after ascending to the throne. One of the happiest periods of Queen Victoria's life was her marriage to Prince Albert of Saxe-Coburg and Gotha. Together, Victoria and Albert worked to make life better for the destitute and forgotten of Great Britain, draw attention to the arts and were the forbears of the industrial age. They also brought a renewed sense of morality that had been absent during her uncles's eras on the throne. But Victoria's happiness was short-lived. After twenty years of marriage and nine children, Prince Albert died in December 1861 at the age of 42. Victoria mourned him the rest of her life, so much so that on the occasion of each of her children's marriages, she wore black and demanded that all photographs be taken around a marble bust of the prince. Victoria mourned Albert until her own death in 1901. Another famous resident was Princess Diana. Here at Kensington Palace is where she raised her boys, William and Harry, and where, after her tragic death in September, 1997, a makeshift memorial of flowers were laid at the golden gates on the southern side of the palace. 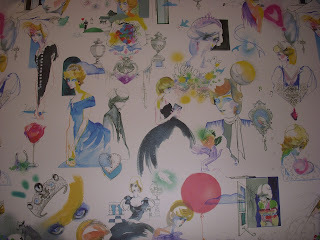 This was the wall outside of the restrooms. Well, that's all for now. I hope you've enjoyed this short tour of Kensington Palace. Next time, we'll visit the Tower of London where the last execution was held not some 500 hundred years ago but in the late 1930s! Until then, I'll share one more picture, this one just outside of the Bow Room at Buckingham Palace. I wished I had pictures to share from there but snapping them would have gotten me thrown into the dungeon! Thanks for this tour into another life! It is amazing. Thanks for the wonderful pictures! Oh Patty, what a wonderful trip you must have had. Thank you so much for sharing! London would be where I would choose if I could go anywhere so I will just have to take that trip through you. Thank you again and Happy 30th! What wonderful pictures. Thank you for sharing your trip with us. Haven't been to England, but loved seeing it through your eyes. Queen Victoria was a fascinating monarch. Martha, Queen Victoria is interesting--the night after we visited Kensington Palace, the BBC ran documentary on her relationship with her sons. My husband walked away with a totally different opinion on Victoria after watching it, mainly because she came across as very controlling. Prince Albert's death really affected all of her relationships. Hmm, I'll have to read more about her. How fun! What is it about England that is just so fascinating? The pictures are beautiful. OMgoodness! 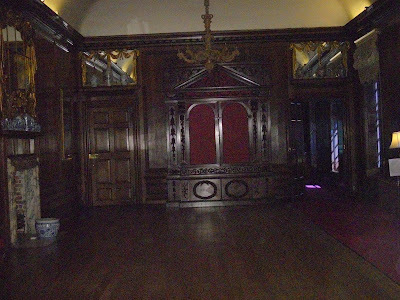 I love the Presence Chamber in the Kings apartment. 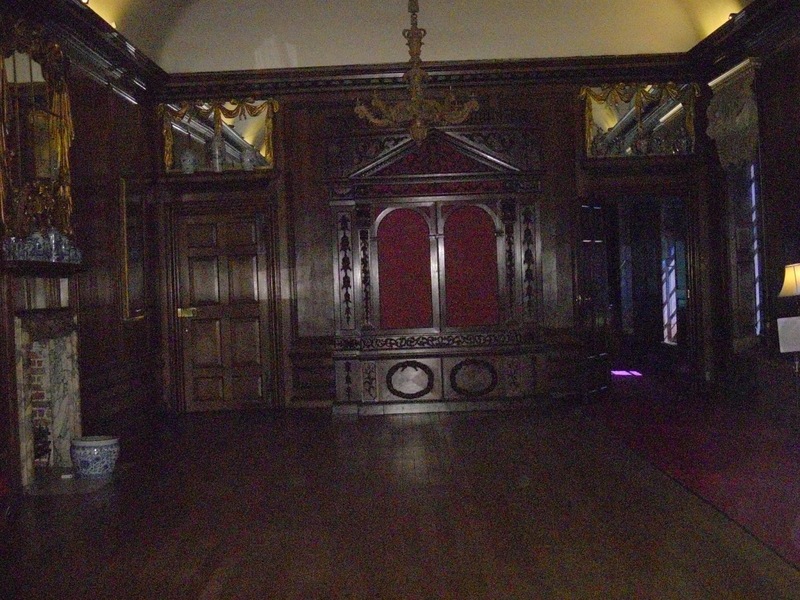 So what exactly is a Presence Chamber? Is this where they met guests? Well what ever it is it is beautiful!! You're right, Debbie Lynne--the Presence Chamber was the room where the King would meet guest in his private apartments. Truthfully, it's not a very big room, maybe 15 x 20. Not much space to meet leaders from other countries. I'm envious! 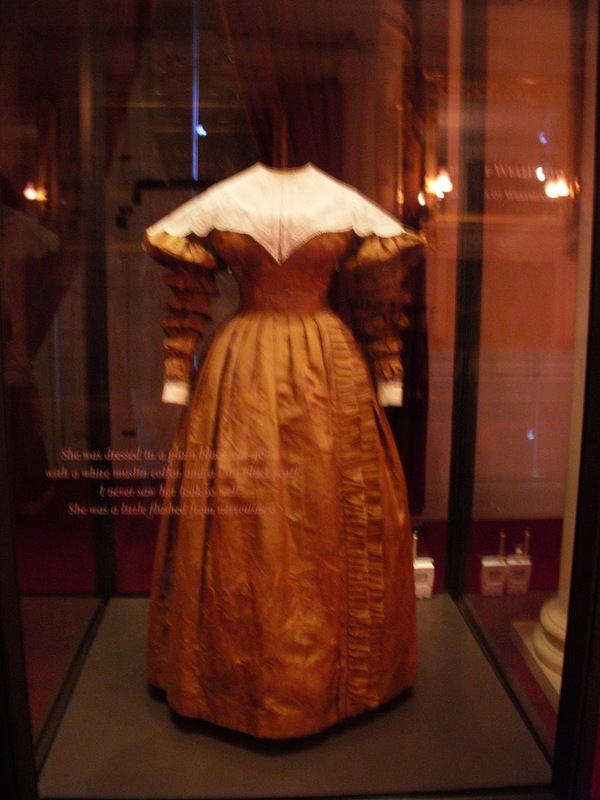 Love Queen Voctoria's wedding dress. Isn't it pretty? I wondered if their wedding clothes were copies but no! Which is why I almost got thrown out using the flash on my camera--the flash can damage the material and cause it to fall apart. How wonderful of your husband. I haven't been to England for many years and am looking forward to all your posts! 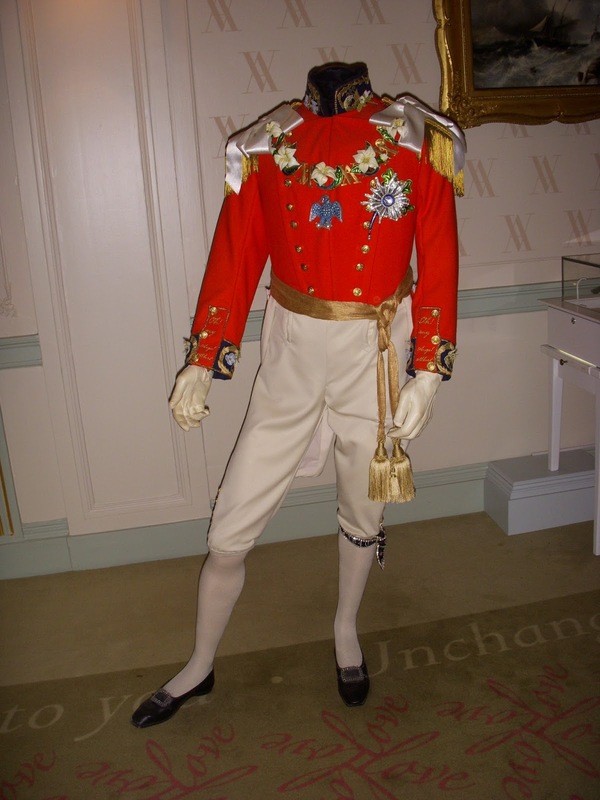 I'm a true anglophile and writing during the regency just makes me want to return to England even more. Some day I hope to visit the Lake District. Thanks for sharing your trip. Jill, I hadn't been to London in 21 years, not since our youngest was a year old. The thing that hit me was how crowded it was! The last time we were there, there was no one in town. So glad you got to go on this trip of a lifetime!! Great pictures and info! :) I just returned from a U.K. trip in May. I've been posting recently about my trip on my travel & writing blog, Pens on a World Map (www.pensonaworldmap.com). I'd love for you to check it out and perhaps if you're willing, I'd love for you to be my Friday guest sometime. Have a great day! I'd love to come visit your blog, Morgan! Thanks for asking! What a wonderful trip! Thank you for sharing with us. I can't imagine wearing black to my children's weddings no matter how heart sick I was over my hubby's death. At least they didn't have grand wedding pictures like we do today! What a wonderful surprise from your husband! Thank you so much for sharing; I look forward to reading more! Everyone, thanks for dropping by today--I wondered if my pictures would be like those dreaded slide shows relatives will ask us to come over and watch of their vacation to Florida! But I'm glad you came by to enjoy sights from London! What a wonderful anniversary trip! Really enjoyed your post & the photos - thanks for sharing with us! I have always dreamed of going to England! 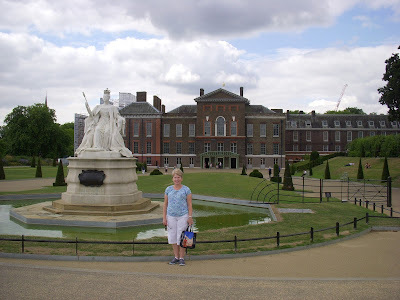 Thanks for the great pics and "tour" of Kensington Palace. The Tower of London has always fascinated me so I can't wait for next month's lesson/tour!! Such a special anniversary celebration to be able to spent it in London. Enjoyed the tour around Kensington. I can relate to being asked to put the flash away. 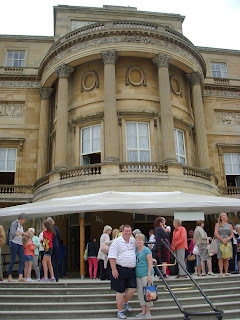 Your photos brought back memories of visiting there, especially memories related to being in London when Princess Diane died in late August 1997. The Duke and Duchess of Cambridge have been living in Anglesey, Wales. Friends in that area see Kate out and about. Looking to see more pics.